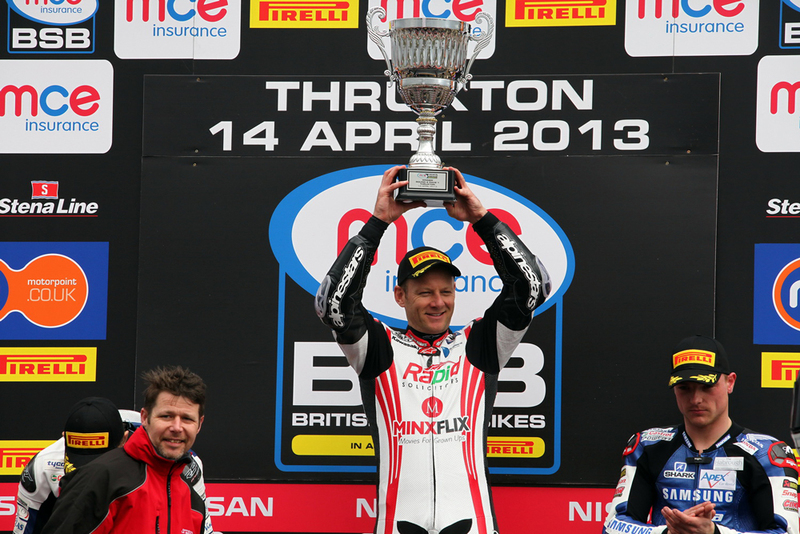 Shane “Shakey” Byrne became the most successful rider ever in the MCE Insurance British Superbike Championship as he completed a winning double at Thruxton to take his career victory tally to 44, one more than rival triple title winner Ryuichi Kiyonari. 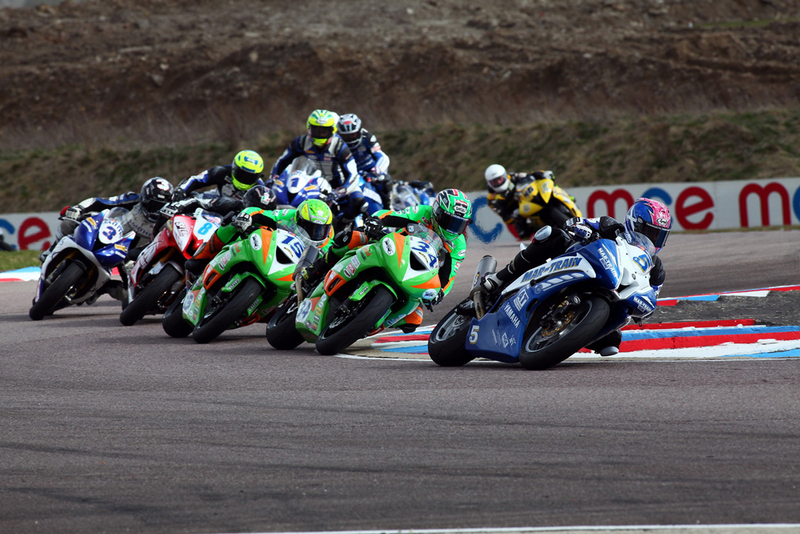 The Rapid Solicitors Kawasaki rider was always at the sharp-end of the action at the super-fast Hampshire circuit, though in the opening race he had to make a determined move on the final lap into the last corner to pass Tyco Suzuki’s Josh Brookes who was relegated to second place. 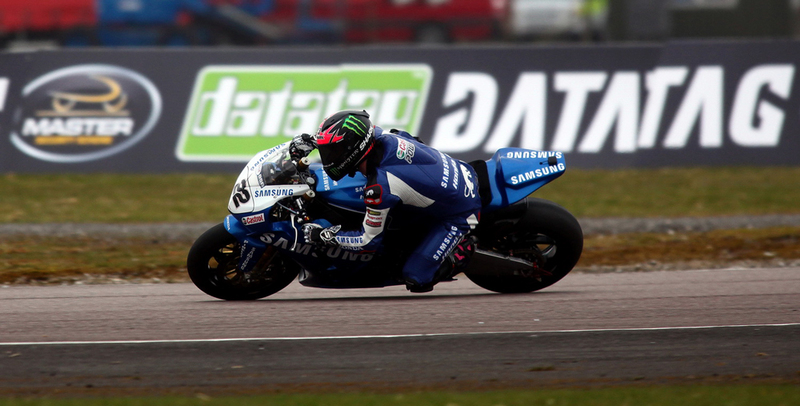 Samsung Honda’s Alex Lowes, who had started from pole, took third place ahead of the Buildbase BMW duo of James Westmoreland and Jon Kirkham, whilst James Ellison fought back from a fifth row start to claim sixth as his team-mate Josh Waters had crashed out unhurt early on. 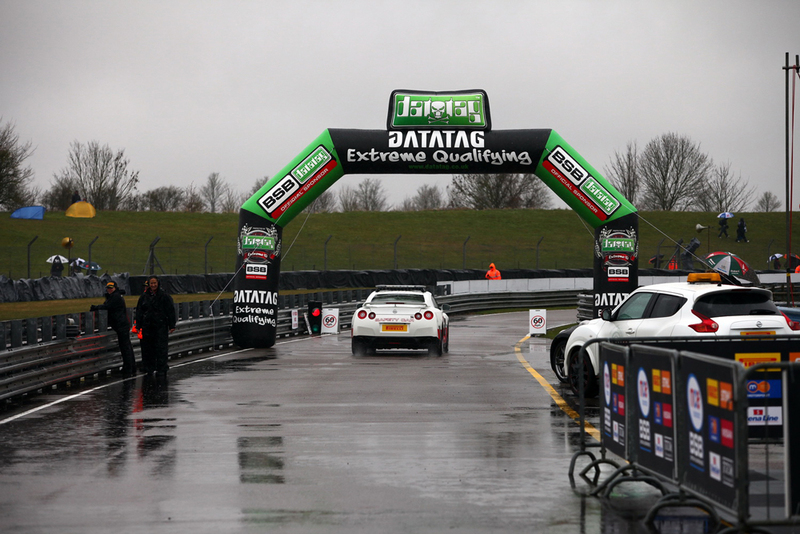 Byrne again made a flying start in an incident-packed second race, which included two Safety Car interventions by the Nissan GT-R, the first of which came after Kiyonari crashed out on the opening lap, and then again as Lee Costello tumbled. 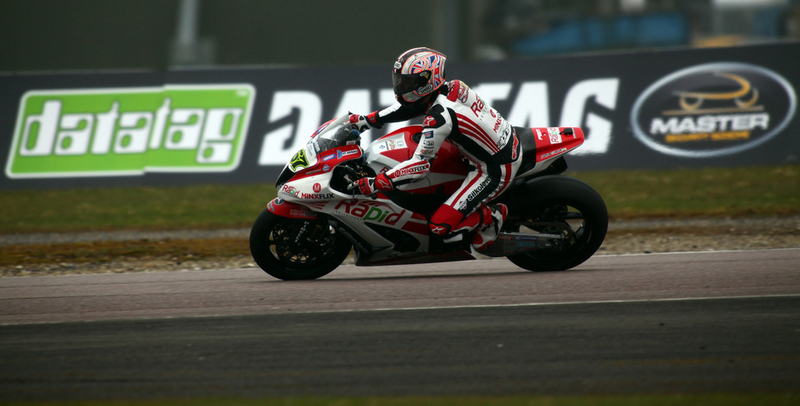 The defending champion was leading as the race was stopped after an incident at the chicane involving Karl Harris and Tommy Bridewell, who sustained a leg injury. 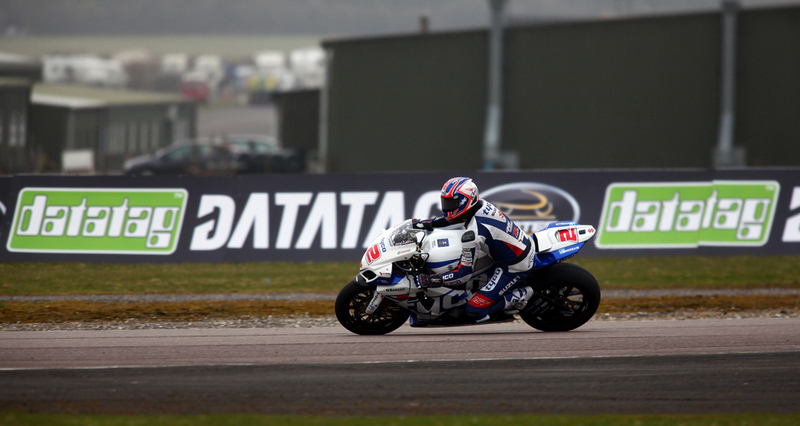 Samsung Honda's Alex Lowes will start from pole position for tomorrow's opening MCE Insurance British Superbike Championship race at Thruxton after the Datatag Extreme Qualifying session was cancelled due to track conditions following heavy rainfall; the grid is decided from combined free practice times. 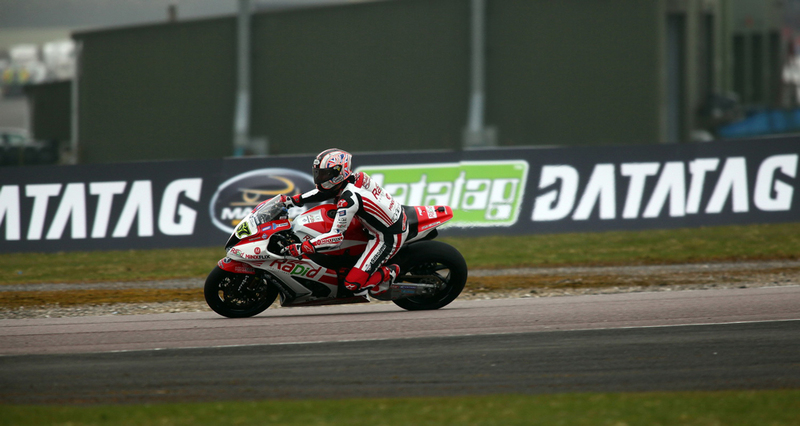 Lowes' fastest lap from the second session puts him on pole position ahead of Tyco Suzuki's PJ Jacobsen as the New Yorker lines up on the front row for the first time at only his second MCE BSB event. 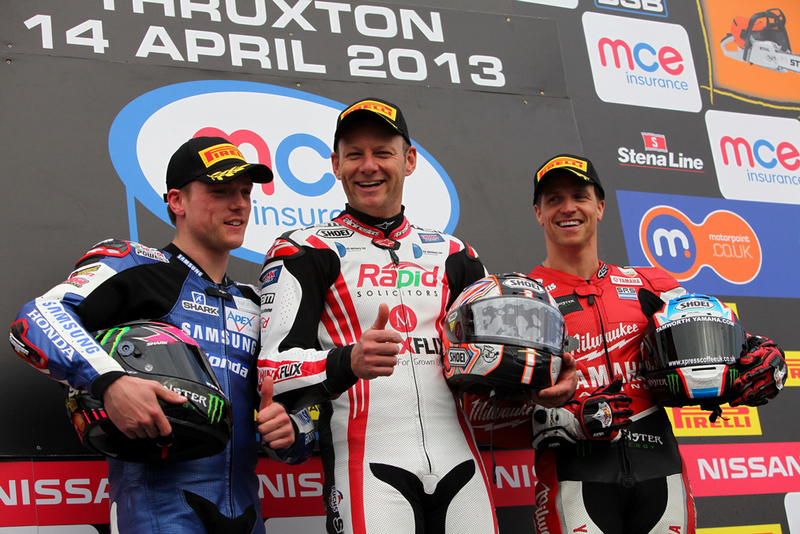 Defending champion Shane 'Shakey' Byrne and Josh Brookes complete the front row of the grid. 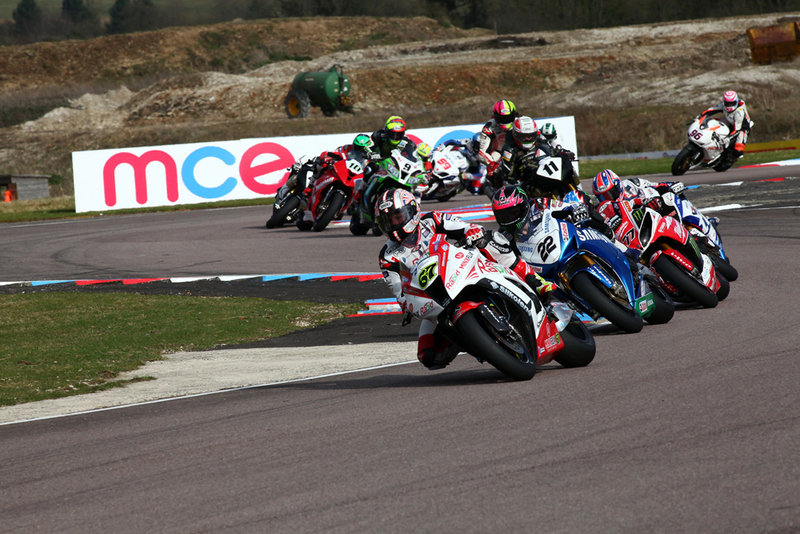 Padgetts Honda's Jakub Smrz heads row two on his debut at the Hampshire track with Michael Rutter (Bathams Honda), Josh Waters (Milwaukee Yamaha) and Chris Walker (Quattro Plant Bournemouth Kawasaki) line up on the second row. 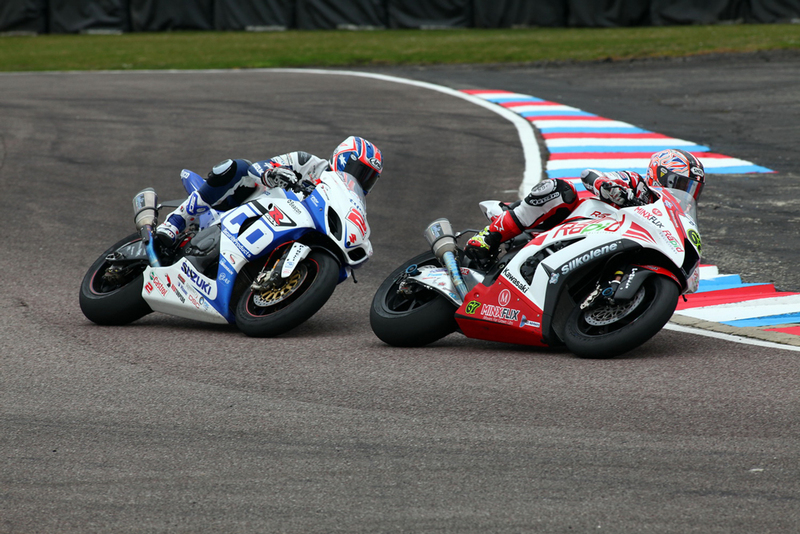 MCE British Superbike Championship Series Director, Stuart Higgs said:"Norman Williamson, our MCRCB safety delegate and Adrian Johnstone, our MCRCB chief steward and I have assessed the circuit. We are not in a position to restart currently so we have cancelled the MCE BSB Datatag Extreme Qualifying session and the grid will be formed from the combined result from free practices. 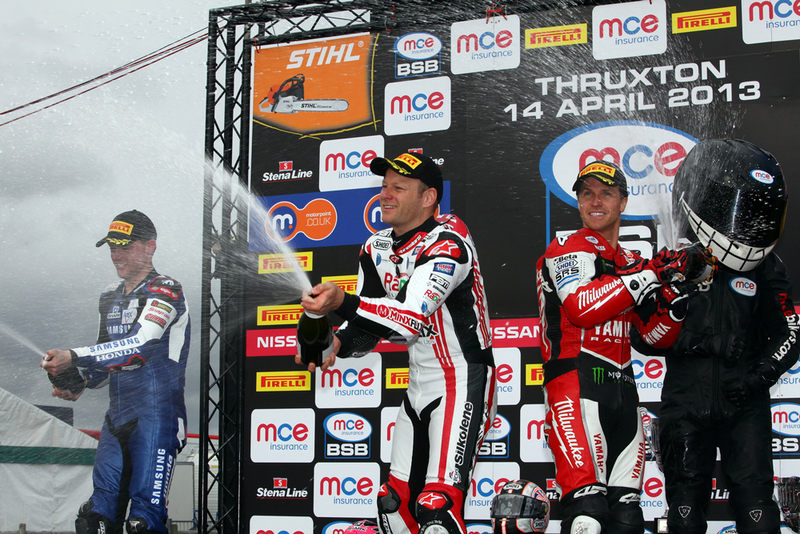 We get an interesting result with Alex (Lowes) and PJ Jacobsen (Jacobsen) P1 and P2. The forecast tomorrow is ok and ironically we may be in the best position in the country for the weather, so thank you all to all the fans for bearing with us and I am sure we are in for a cracking days racing tomorrow."